I wanted to do a quick birchbox unboxing post for you guys! I know that most of the world already got their birchboxes because they usually get to people faster if they live in the continental united states, but I thought "why not!" so I'm doing this post anyways! So before I get into it, birchbox is a monthly beauty box where you get 5 products for $10. If you'd like to sign up through my referral link, I'll leave it here for you! I have really wanted to try this product, and I'm actually surprised that birchbox got me the correct shade! I think that this product is interesting because it has an outer ring with a inner ring of pigment. It's supposed to hydrate the under eye area. One small complaint is that this doesn't include much product at all! I thought that you'd get the whole stick worth, but if you twist it all the way up, it'll only be one or two centimeters! Compare this to benefit watt's up mini, where you get the whole stick worth, this is kind of a scam! I hate how they counted this as 2 products, because how can they give you one but not the other! I am actually running low on cleanser, so I'm excited to try this! 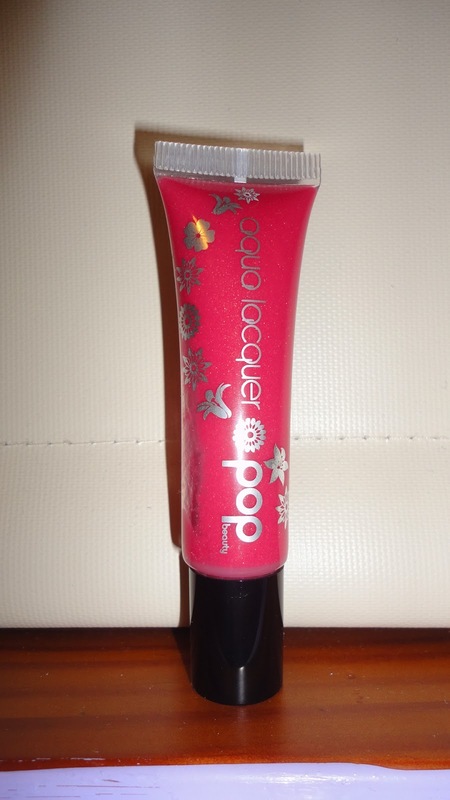 This is a lipgloss and it is the full sized product! It retails for $14, so I already got my money's worth of products! I'm currently testing this out and I will totally review this later this week! This was my birchbox extra this month, and frankly I'm actually happy with this! I like how they gave me something useful that I'm going to get a lot of wear out of! So that was my october 2013 birchbox unboxing! Let me know if you subscribe to birchbox and what you got this month if you do! Also, follow me on my twitter because I have been using it a lot more frequently lately! I love birchbox but looks like they didn't get is quite right this time. You are right the liz earl cleanser has to come with the cloth otherwise its just not the same. I know what you mean! At first I thought this was a great box because of the products, but I can't get past how stingy they are with their products and sample sizes! Especially counting the cleanser and cloths as 2 different samples! But with that being said, this was actually one of the better boxes I've gotten from them! yeah I did! I'm so happy that I get to try out some of these products! Especially that lipgloss because I'm a lipgloss junkie!